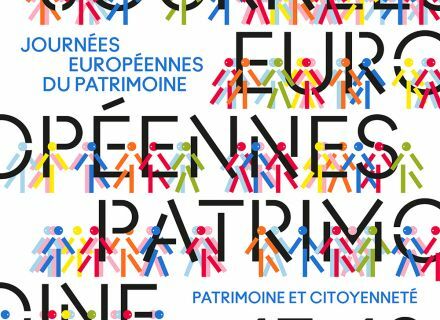 The patrimonial current events of this week, it is of course the annual meeting of Heritage Days. The theme held this year is " Heritage and Citizenship ". I thus chose quite naturally to speak to you about our City hall, our Town Hall. 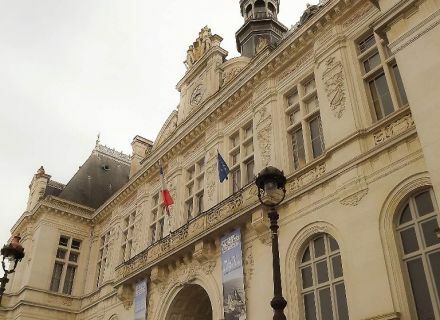 The City hall is raised by Georges Lasseron in the style the neo-Renaissance (hall with boxes, mullioned windows, small windows of roofs topped with front walls). The first stone is put by the President of the Republic, Félix Faure in 1897. The construction lasts four years. 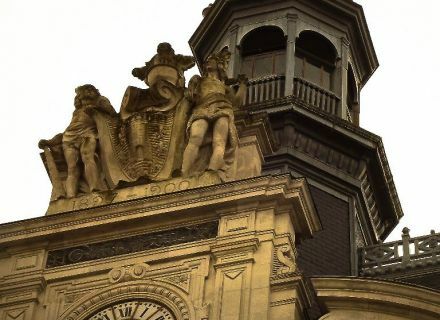 To mark the ascendancy of the secularism on the religion, the municipality of period asks for the construction of a belfry (over coat of arms) which hides the bell tower of Notre-Dame seen by the street of the City hall. The coat of arms of the city, situated over the clock, represents both towers of the donjon and the Sèvre Niortaise flowing in its feet. Both savages would be here in memory of the interest which Duke de Berry carried for this disguise. At the time of the discovery of Canada ( 1534 ), these savages were replaced by Iroquois Indians. Municipalities since abandoned this little flattering evocation of the Canadians. 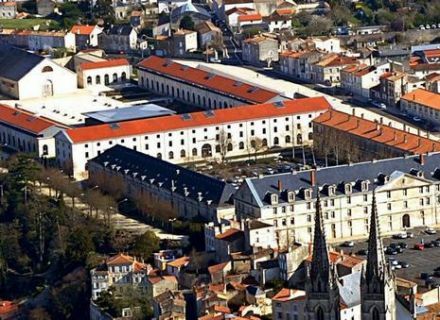 Graduate of the College of the Fine arts, the Architecture Section, Georges Lasseron, influenced by the realizations of Haussman, is the witness in 1871 of the reconstruction of the City hall of Paris among which that of Niort is a declension in miniature. From 1883 till 1913, he is the municipal architect of his home town. With the construction of public and private buildings, he participates in the transformation of the architectural landscape of the city, the end of the XIXth century at the beginning of the XXth century (public Schools, girls' high school, public baths, department store "A la Ménagère", Savings bank, funeral chapels …). You want of to know more about it on this monument? 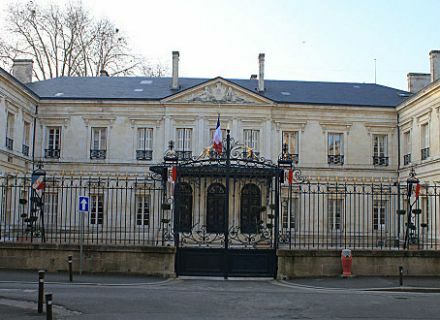 Pursue with our route "The tour of Niort in 80 minutes", without forgetting the other visits of monuments symbolic as the Prefecture or the House of the department. 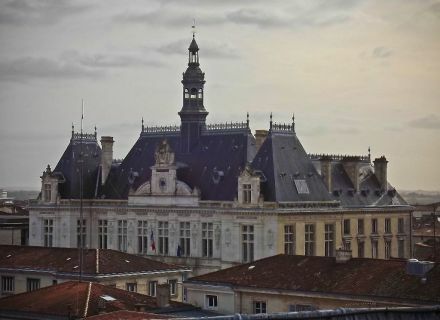 Photo credits: Butterfly Tea (city hall), City of Niort (Prefecture) The New Republic (House of the Department). in Damvix Bateau-restaurant "Le Collibert II"	3h30 of discovery cruise. Relaxation, gastronomy and historical commentary in a unique setting, to discover to dream the eyes and fill the spirit.